Hotchkis Sport Suspension 1404 1967-1969 Camaro/Firebird Convertible Cross Brace Support. 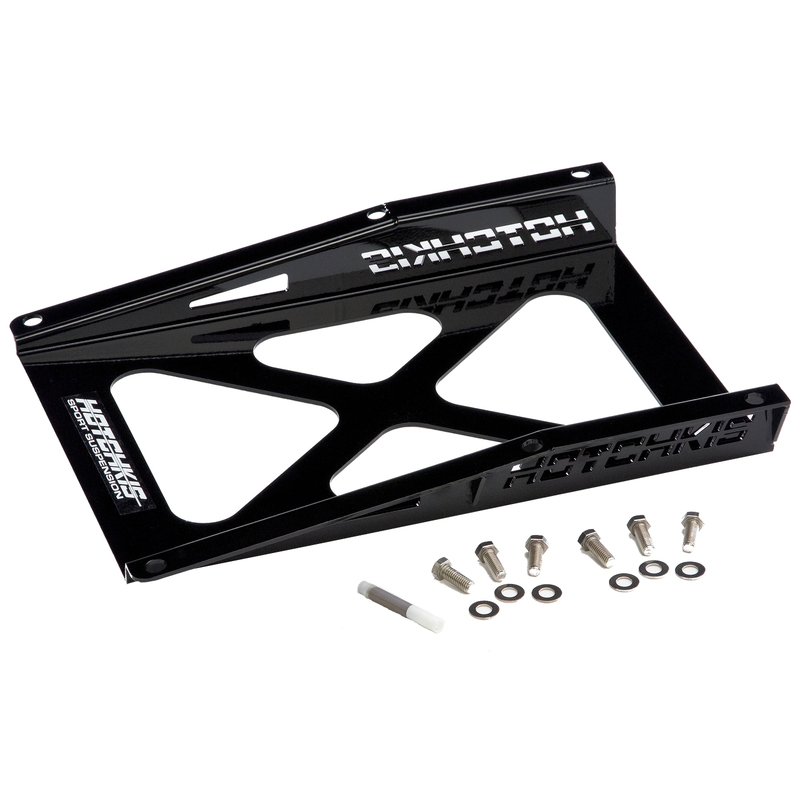 The Hotchkis Performance Cross brace for 67-69 F-Body cars was designed to add rigidity to the chassis by replacing the factory frame brace. As an added benefit this brace allows for the use of larger tube exhaust systems which often requires removal of the factory brace. Fabricated from 10 gauge steel this brace features extra reinforcing gussets laser cut Hotchkis logo powder coated gloss black finish and stainless mounting hardware. This is the perfect finishing touch for any Convertible restoration.